Greg Kroleski - Page 3 of 69 - Crazy enough to try it. Nerdy enough to chart it. Earlier this year I wrote about a secret goal I had for the year (which I guess makes it a secret only between everyone with internet access). I was going to track my creative vs consumption time and try to move my ratio from 1:2.5 to closer to 1:1. I nearly doubled things in the wrong direction, which is a bummer, but I guess this is why this is a secret goal and not an official one. I think the best way to get things closer to 1:1 that also seems really healthy is to drop my movie count by a good 20 or so and to use that time to write about 4 more blog posts. That alone would get me towards 1:2. This year I picked John Muir as my exemplar. I recently came up with a new review template to help me get the most out of the process of having an exemplar. Below is my entry for this John Muir. What did John Muir achieve? John Muir helped lead the efforts to preserve millions of acres of wilderness land in the United States so that future generations could enjoy them. His is the founder of the Sierra Club, a well published author, responsible for upending the geological theory of how the Yosemite valley formed and is credited as the spiritual father of both the US National Park service and modern conservation efforts. He also managed a very successful orchard and had a great beard. Why did he care about that? Some people pursue goals intentionally or rationally. Others seem to just follow their inner voice – perhaps in a more emotional way. John Muir seemed like someone that tried to do many other things in life, but whose heart simply drew him to the wilderness. First he spent time there and documented everything he was amazed by. Then he grew to share his interest in the topic by publishing articles about it that captivated the public. Eventually, when he saw the wilderness he loved being destroyed, he took action to help defend it. How did he think about the world differently than his contemporaries? Mainly, Muir viewed wilderness as something beautiful and worth pursuing, rather than a resource we should strip for profit. A kindred spirit and one time companion of Emerson, they stood in contrast to the prevailing spirit of the industrial revolution. He often demonstrated wild abandon, such as the time he quit his job, started walking south and spent all of his life savings as he covered 1,000 miles, eventually reaching the Gulf of Mexico. Muir seemed to enjoy being a contrarian, perhaps a result of disagreeing with his father from an early age. He seemed to enjoy opposing others proving others wrong, as he did with the geological experts of his time, despite Muir having completed no study in the field. He also seemed delighted to hack the system and live a life based on his own first principles, whether that was by finding work that allowed him to live in the mountains, or establishing a marriage that allowed him the alone-space to escape back to them. Being untied to conventions, listening to his heart rather than society’s mind, let him be in tune with things that others wouldn’t see until much later as society shifted. Finally, Muir seemed to have an optimism that I’m not sure was common with his time. It certainly isn’t common in ours. He was almost naively optimistic that he could convince people of the beauty of nature and get them to help support him in preserving it. I’ve found that most successful people are wildly optimistic but not all wildly optimistic people end up being successful. Muir was, of course, successful in his case, which seems to justify his optimism. I can’t help but feel like he was a few bits of chance away from being a bubbling, bearded homeless man, going on about things no one would ever care about. Perhaps the distinction between that and his reality isn’t as stark or as important as it seems to me. What are a few of Muir’s behaviors that helped him? The behavior that seemed to most cause Muir’s success was his passionate and focused exploration of the things that interested him. He was not at all, as far as I can tell, strategic in his decisions. He did not sit and think, ‘I would like to make a name for myself and meet a President, this wave of conservation seems prime to take off, perhaps I should become a talking-head on this topic and make a name for myself.’ Instead, he just dove in and ran at a topic he cared about to the point where he became the de facto expert on it. Another behavior that served him well was letter was developing relationships quickly. Despite being a bit of a hermit, Muir seemed to have the ability to strike up conversation with anyone, and quickly form enough trust that they wanted to help him. Many of the big achievements of his life came from people he met one time that propelled him forward and built a platform for him. He had a lot of success making a certain segment of the public see his point of view by sharing his writing. Interestingly, all three of the exemplars I’ve profiled (the others being Ben Franklin & Eric Liddell) have been writers, concerned with influencing the public. I don’t think it is a coincidence that the people who prioritized having great influence on the masses are the people that the masses remember hundreds of years later. Another of Muir’s behaviors, that resulted in success was forming a few key mentor relationships. Jeanne Carr was invaluable in his success, she was the one who sent a personal letter Muir had written to a magazine publisher, kicking off his professional writing career. She also worked behind the scenes in his life, introducing him to the woman that would become his wife and setting up meetings with people that would solidify him as a public figure, such as Emerson. Another mentor that I noticed less frequently mentioned was Robert Underwood Johnson, the editor of The Century Magazine. Johnson it seems helped set up Muir as a face of the conservation movement, while Johnson worked behind the scenes lobbying politics and building a publishing platform for Muir to utilize. What are some of the decisions he made that contributed to his success? Muir showed talent as an inventor early in life in an age where invention, industrialization and machine creation was the new hot thing. He was born nine years before both Thomas Edison and Alexander Graham Bell. He abandoned all of that and headed away from city life towards the wilderness though – this would prove to be the decision that defined his success most. Following his passion rather than anyone (society, friends, family, etc.) or anything else (fame, money, security, etc.). I wonder what the alternate-reality Muir, the one that stayed in industry, would have achieved. At worst it seems he could have gone on to have a profitable career in that industry, perhaps crossing paths with Edison, Bell, Tesla or similar. Perhaps he would have gone on to do really great things and we would know the name Muir anyhow. I suspect if his heart wasn’t in it though, he would have had a middling career and the founding of the National Park Service would have been delayed by years or generations. I noticed that Muir tended to live in bursts of about 5-10 years before deciding to switch gears. For example his Yosemite period was 1868 to 1874, and later he would spend close to a decade focused on running the family orchard. I would, of course, notice that trend because I am currently undertaking the planning of my next six year burst. I’ve noticed this pattern leading to success from a few people and think there is something to it. I could write more about it later, but I believe it has something to do with continual personal growth, the synthesis of multiple different areas in ways no one has tried before, and being available to go through new doors that weren’t previously open, thanks to changing times, new technology, a changing zeitgeist, etc. What was one thing about the John Muir’s life journey that is encouraging to me? John Muir achieved most of his success later in life. In fact he didn’t even step foot in Yosemite valley until he was 30. So for the first 30 years of his life he knew nothing of the place that would largely define his life. He was 40 when he met the woman that would be his wife, 42 when they married, and 43 when his first child was born. He was 54 when he co-founded the Sierra Club. All of this is to say that most of his impact came later in life and most of it spurred from things he had no awareness of until he was 30. As someone in my 30s, it is encouraging to know that you don’t need to be exposed to a topic early in life in order to eventually have a big impact in that space. I think this stands in nice contrast to the stories of the college-dropout tech company founders of our age that seem destined for greatness before they exit puberty. It is encouraging for me to think that there are still topics out there that I could, in theory, learn about, become passionate about, and have a huge impact in. My story is not yet written. What is one thing about Muir’s life that makes me feel like I should do more with mine? Muir found something he cared about so much he was willing to devote his life to it. His passion would lead him to a fame that became nearly self-perpetuating. It brought him into the company of heroes of his, like Emerson, and a US President – arguably one of the most powerful people in the world at the time. Yet, unlike many fame builders that use a topic to come to prevalence, his passion was genuine enough that he was willing to sacrifice his standing and those relationships when he disagreed. That strength of passion is rare. As I look at my own life, there is no longer a thing I am so passionate about. Perhaps there should be. What did Muir believe about the world that I have already or should soon reconsider? In many ways I am a kindred spirit of Muir’s. I do best outside and often find myself in contrast with the majority. I’ve also been writing a lot the last few years, though not with the focus or impact Muir had. The area I can probably most learn from his is his optimism. He was willing to believe in the positive impact people, and particularly the US government, could have. Which of his motivations have I reflected most on? With Muir it isn’t his particular motivations as much as the reason behind them that I’ve reflected on. I certainly care about natural beauty, and could probably do more to help preserve it, but that hasn’t been my key take away. Instead I’m struck by how passionate he was, how narrow that kept his path, but how far it brought him on it. If having impact is important to me, I would be best served to do that in a single area, rather than 10. What is one of his behaviors that I tried out this year? How did it go? I didn’t actively pursue any Muir inspired behavior’s this year outside of my normal ones. I got started on learning about him a bit late in the year. I did visit eight US National Parks and a few other National Forests & state parks this year though, getting some time in the wilderness. Unlike Benjamin Franklin, who’s life seemed to be chock-full of life hacks and behaviors worthy of emulating, Muir doesn’t have many that stand out. The behavior I think helped Muir the most, that I am not strong at myself, is the formation of a few key mentor and partner relationships. Having another set of eyes and a different skillset goes a long way and seemed to help Muir again and again. I could do better to set myself for those, identify places I have them today and make the most of them. What decision making heuristics can I adopt from Muir’s experience? As I read about Muir I couldn’t help but think that I am living the life he abandoned. He had a talent for inventing machines in a time where machine invention was profitable. Times have changed and software is now the profitable space. 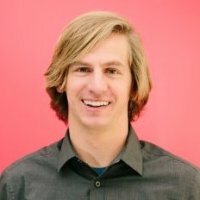 He abandoned that profitable field at 30 to follow his passion, but at 32 I recently turned down a job in the space I’m passionate about and took a job working for one of the most profitable software companies. He followed his heart and I followed my brain. Our circumstances at this age are different of course, he was single until he was 42 and at 32 I have five other mouths to feed. When he was married and had children, he settled down and ran an orchard for a decade. Perhaps I am just getting to that earlier. I think I can learn from how following his passion allowed him to work harder, focus more and draw in others to help him though. I might benefit the most from applying this heuristic in a similar way to Muir, using it to help decide my next burst of 5-10 years of focus. Looking at Muir’s life, it seems hard to imagine that leaving Yosemite to manage an orchard in Oakland is the thing that would be best for the preservation of the valley, but in fact, it likely was. Perhaps my own journey will have decisions that seem counter intuitive but produce results I couldn’t have predicted. Maybe some of my future strategic decisions will allow me more opportunity to be passionate later as well. I think it is important to weight the trades offs one makes in achieving any goal. Sometimes failures are miscalculations and blind spots, but other times they are long running prioritization decisions that become regrets. From what I can tell, Muir was fairly absent at home. None of what I read went so far as to call him a bad father, it seemed he was very caring just often deep in study or off walking in the mountains alone. It does sound like he sometimes brought his daughters wit him on trips to the mountains, which is encouraging, but it still seems a stretch from being a little league coach or scout troop leader. This is also a trend I’ve noticed in the three exemplars I’ve studied to date, it seems rare that someone is known by the world and known by the children – time is a limited resource. Muir’s greatest failure is interesting because it appears one where he lost the battle but won the war. The debate over preserving the Hetch Hetchy Valley was divisive. Even some who were conservationists were in support of the dam and the water it would provide to San Francisco. Muir remained an idealist on this topic, refusing to compromise, and eventually lost. Then he watched as the dam was built and the valley he loved was flooded. There is perhaps a lesson in being extreme and finding compromises here, especially with the context of the time and the recent earthquake and resulting fire in San Francisco. Interestingly though, the debate was so fierce, that it has made it harder for future damns to be built and we have not since built another dam in a National Park. What other cool facts did I learn about John Muir? I didn’t know where else to put this so I put it here. By the age of 37, Muir hadn’t accomplished much, but was an expert in Yosemite. Around that time, Americans developed a national fascination with the west. Consider that it was 1968 when Muir first stepped foot in Yosemite, one year before the Transcontinental Railroad was complete. Yosemite was certainly one of the most visually striking parts of the west and Muir was the expert on Yosemite. You can view this as a lucky break in zeitgeist evolutionary selection that we still remember Muir or you can apply the lesson another way to see that being on the top of a rising tide will lift your ship. I didn’t know Muir was an inventor, he made some cool things that seem a bit silly now but 150 years ago were probably pretty cutting edge. Check out some pictures here including the alarm-clock-bed that dumped him from his sleep come morning.